For those of you familiar with Digilent’s YouTube channel, then you know that we post helpful tutorial, educational, and showcase videos. If you’re not, you should go check it out! Some of the videos on the Digilent YouTube channel. 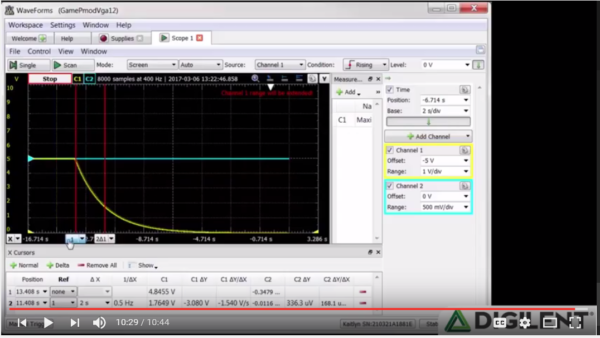 One of the video series on the YouTube channel is the Analog Discovery 2 Quickstart series. Designed to get you up to speed with the Analog Discovery in video form! If you prefer text, there’s also the getting started guide. The Quick Start series playlist on the YouTube Channel. 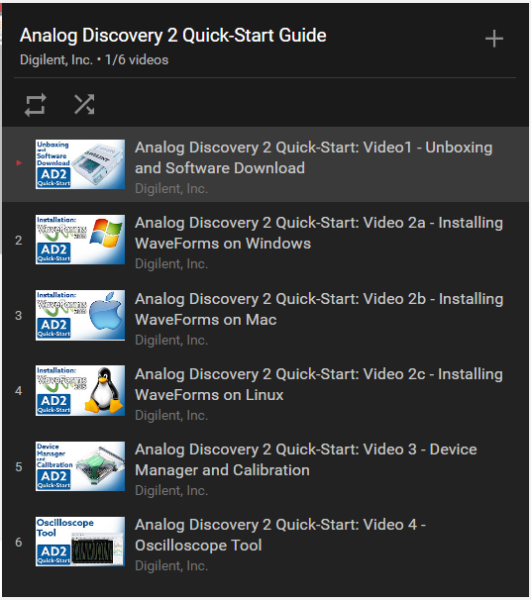 Starting off the series is Video 1: Unboxing and Software Download, where you’ll find just what to expect when you order the Analog Discovery 2, and where to find the software you need. The contents of the Analog Discovery 2 package. 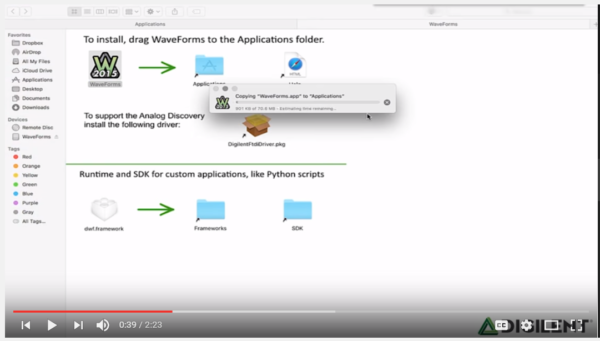 Next are videos 2A-C, which take you through installation of the software, WaveForms 2015, in Windows, Mac, and Linux. A snapshot from the Mac installation video. 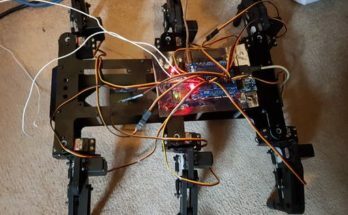 And important, but often forgotten video, is Video 3, where you’ll learn about the device manager and how to calibrate your Analog Discovery 2 for the best results. Don’t fret too much, all devices are factory calibrated, but it’s always good to re-calibrate every so often. 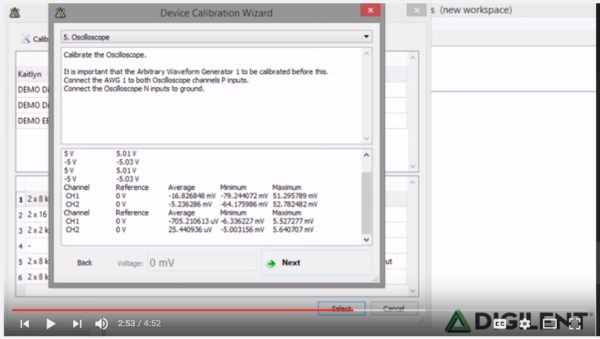 A snapshot featuring the device calibration wizard, which can be used to calibrate the Analog Discovery 2. 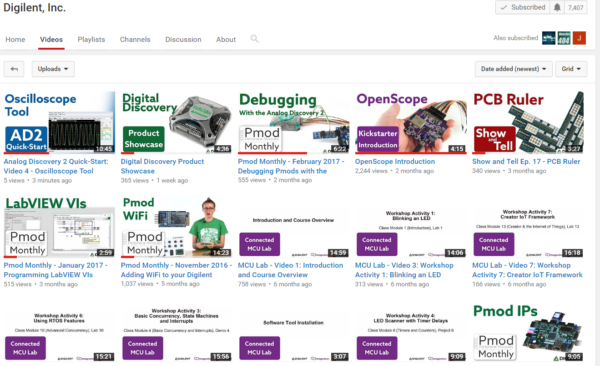 If you subscribe or keep a close watch on the Digilent YouTube channel, you’ll start to see Videos 4-15, where I go through each of the tools, describing what they’re for and how to use them. 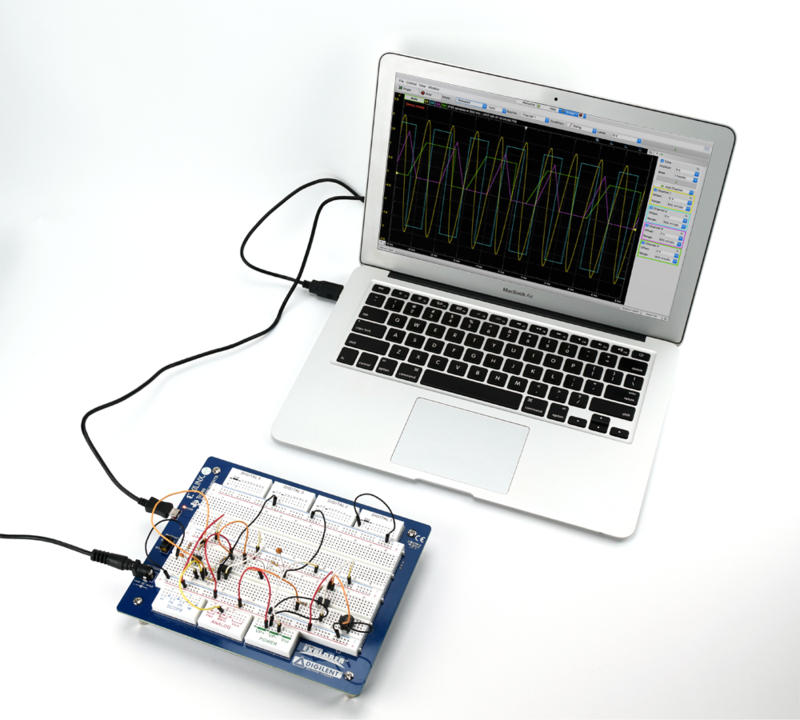 Releasing first will be Video 4: The Oscilloscope tool. 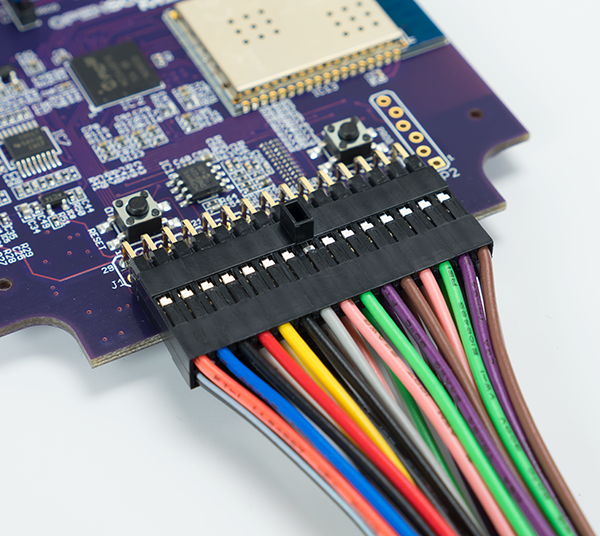 In this video, I’ll introduce the Oscilloscope, go through all the buttons and features, and give an example of its use. Measuring the time constant in the Oscilloscope tool. 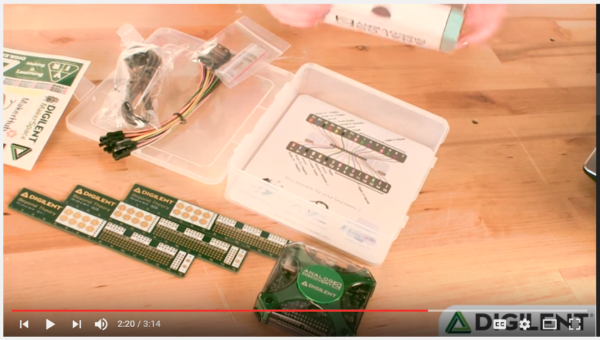 Don’t forget to stay tuned to the Digilent YouTube channel for videos 4-15, each one showcasing one tool on the Analog Discovery 2!